The NPO Resource Based Economy aims to achieve a peaceful transition into a sustainable future where most present-day problems will be outgrown: no more deprivation, riots, international conflicts, poverty, hunger or suspensions of human rights. 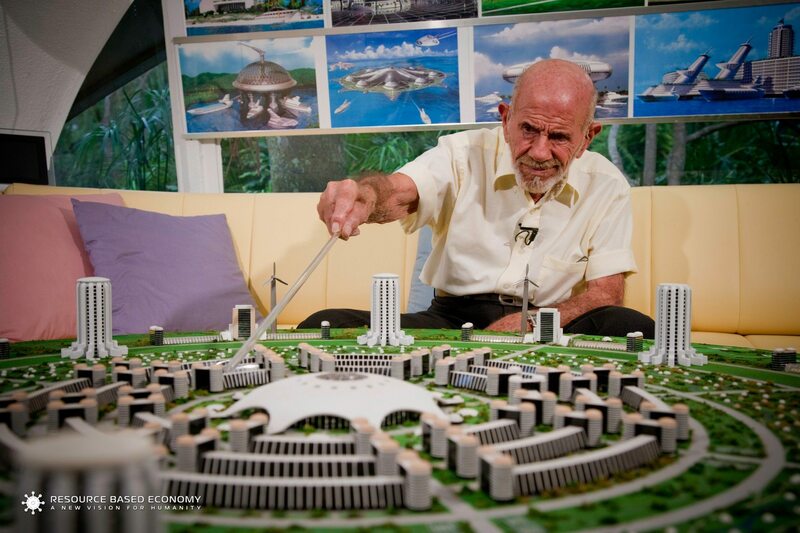 We would like to demon­strate these possi­bilities within a pilot city environ­ment as designed by the life-long work of Jacque Fresco. This city is unlike any other. It has a purpose, and that is to help usher in the next step in humanity’s social evolution. This city will showcase our positive vision, allowing people to see what kind of future we can build if we intentionally channel our resources and efforts toward social betterment. It will serve as a testing ground for an unprecedented mobilization of the latest science and technology, focusing on the restoration and protection of the global environment. 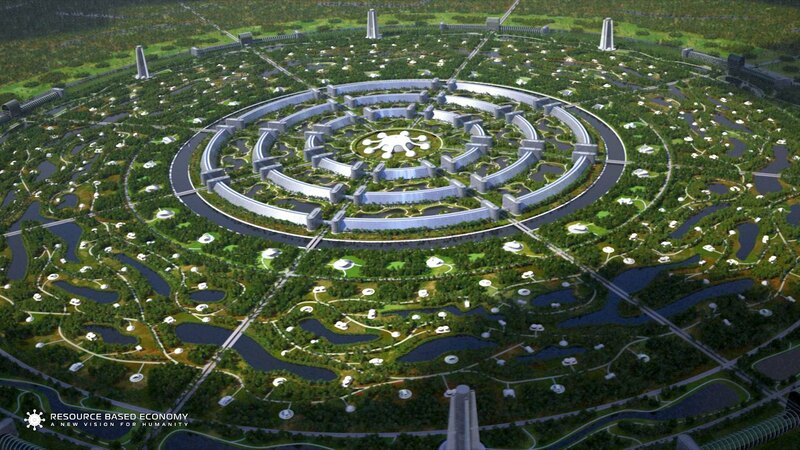 The initial circular city will be devoted to developing fully up-to-date global resource management, environmental studies, and a holistic method for social operation. A global think tank will be formed to outline the next steps of development towards global unification and the betterment of every man, woman and child on the planet. 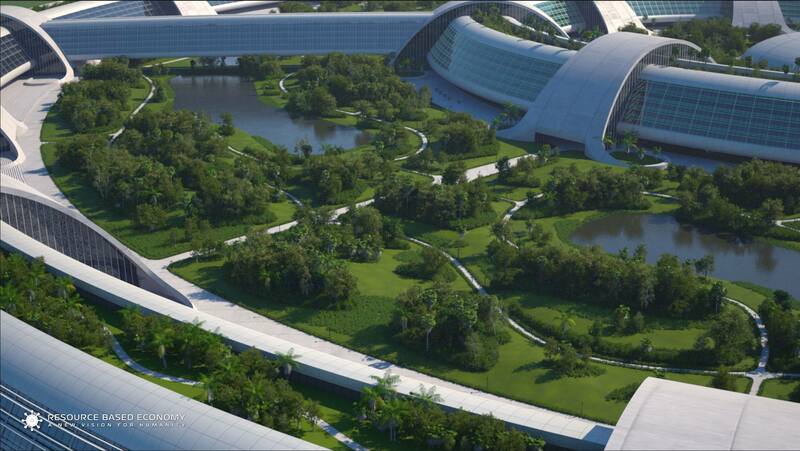 This will be humanity’s living lab for designing its future. 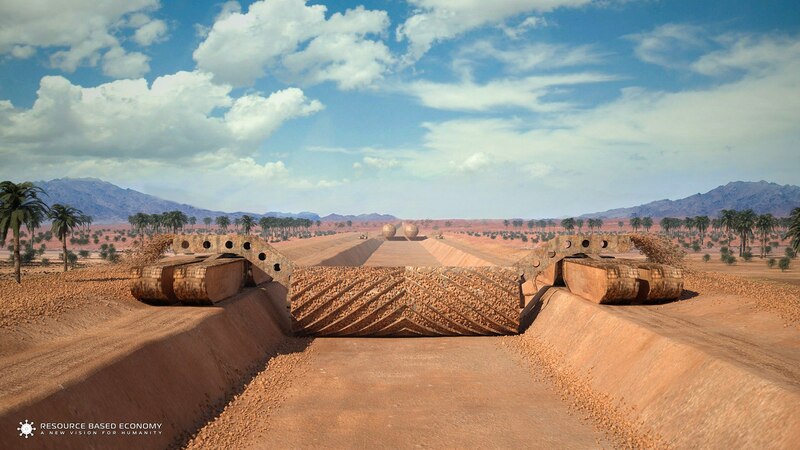 This project is not a typical economic real estate development venture. It will be a living, breathing example of what is possible when the occupants are working to enable all people to intelligently thrive on this planet, rather than toward the self-centered aims of wealth, property, and power. We are currently witnessing the sad consequences of the latter approach. The Resource Based Economy NPO does not intend to sell or rent real estate for a profit, nor can anyone buy his or her way into the city. Our approach for the development of this and other city projects is philanthropic, with people who want to invest, not for profit, but in the future of civilization and a much better life for our children. Those donating would be helping to bring into fruition a real social alternative; a future that designs the environment to eliminate the need for security such as locked doors, bars on windows, guard dogs, surveillance cameras, gated communities and the fear of kidnappings for ransom. Those who will inhabit the city will be working toward society’s need to evolve into a truly sustainable civilization. People within this living environment will have the opportunity and privilege to fully focus their efforts on solving problems to attain this common goal. The overall aim will be the constructive and intelligent use of science and technology to improve the lives of every human being, and all findings will go back into the society to test its validity in solving problems common to all people’s needs.